From Blackface to Billy Sing: ‘whitewashing’ not a thing of the past. This (hopelessly out of date) post was originally published in 2010. I am re-posting here as part of the online media course I am (kind of) tutoring at the University of Sydney. Across the world, fans are protesting as filmmakers ‘whitewash’ ethnic characters, writes Ruby Hamad. Does this old photo of Al Jolson wearing blackface makeup and a curly wig in the silent classic The Jazz Singer make you cringe” How about Boris Karloff as the “yellow peril incarnate“- The Insidious Dr Fu Manchu? 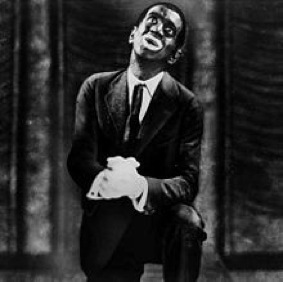 While we may recoil at the casual racism of films past when white actors wore makeup to appear black or Asian, and reassure ourselves that we wouldn’t allow it to happen today, the outrage over Hey Hey’s blackface skit, is only the most obvious example of contemporary cinematic whitewash. This year, controversy has surrounded the casting of films and television productions from Sydney to Paris to Hollywood. 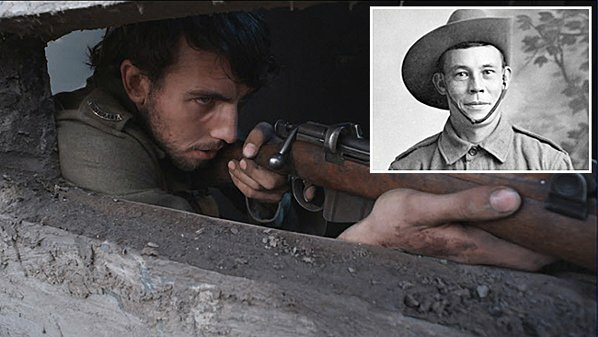 Australian director Geoff Davis is feeling the heat for casting his son Josh as Billy Sing in a mini-series based on the life of the legendary WW1 sniper and Gallipoli veteran. The problem? Billy Sing was Chinese-Australian and Josh is, well, white. Davis told The Australian that it wasn’t his intention to ‘whitewash’ Sing’s racial history but he couldn’t find an older Chinese actor willing to play Sing’s father on deferred payment. His solution was to cast Caucasian actor Tony Bonner (of Skippy fame) instead, effectively turning Sing into a Caucasian too, in a move that has enraged many in the film community, including actor Haven Tso. Chances are you may never have heard of Tso, but he is one of Australia’s most prominent Chinese-Australian actors, having featured in the film Home Song Stories and on TV shows including Sea Patrol and All Saints. As a forty-something he was too young to play Sing’s father, though he laughs at Davis’s claim that no actor would be willing to play the part on deferred payment, “There are lots of people doing work for free just to get their name out there”, he says. That is why the Billy Sing casting has stung the acting community. Not only are heroic ethnic characters so rare, when they do pop up, ethnic actors get overlooked in favour of more bankable Caucasians. Although she calls the Billy Sing casting “disgraceful”, Eadie admits there does seem to be lack of older Asian-Australian actors. One of her actors, A Japanese-Australian in her forties, won a role on Steven Spielberg’s miniseries, The Pacific, and had to wear special makeup “to age her as they couldn’t find anyone else”. But is there a lack of roles due to a lack of suitable actors or a lack of actors due to the scarcity of roles? Do actors simply give up after years of rejection? Hard to tell, says Eadie, “Nothing has changed in the 21 years I’ve been in the business”. The Australian put down the reaction to the fact that knowledge of Sing’s extraordinary and tragic story- he died in obscure poverty- is too new to the public to be depicted in this way. But that doesn’t explain the reaction that similar cases of ‘whitewashing’ in cinema have caused. Earlier this year, Gerard Depardieu became embroiled in a heated race row over his film, L’Autre Dumas, based on the life of the great French writer Alexandre Dumas. Depardieu is, of course, white, whilst Dumas was the mixed race grandson of a freed Haitian slave. Like Jolson in The Jazz Singer, Depardieu wears a black wig and darkens his skin for the role. Patrick Lozes, president of the Council of Black Associations of France, complained to the BBC that the film suggests, “we don’t have any black actor who has the talent to play Alexander Dumas”. Meanwhile, over in Hollywood, The Sixth Sense director, M. Night Shyamalan is causing a stir with his soon to be released mega-budget epic, The Last Airbender, which opens in Australia September 16 and is based on animated TV series Avatar: The Last Airbender. However, while the show’s characters are mainly Chinese, the film’s stars are – apart from the villain played by Dev ‘Slumdog Millionaire’ Patel – all white. 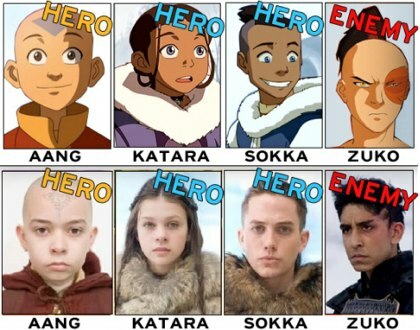 Famed film critic Roger Ebert agrees, calling the Airbender casting “wrong.” So do the series creators, Mike DiMartino and Bryan Konietzko who have distanced themselves from the film. Shyamalan, however, dismisses the criticism, calling Airbender, “the most culturally diverse movie ever made… it looks like the U.N. in there”, referring to the fact that native Greenlanders play most of the extras. The role of Billy Sing is a lost opportunity. A chance to celebrate the contribution of non-Anglo Australians and a chance for an actor to escape from behind the dishwasher or shop counter have both been wasted. But perhaps the public outcry regarding these films, each from a different corner of the globe, indicates that the tide is finally turning. Don’t expect a change too soon though. Last month Prince of Persia, another swashbuckling blockbuster opened in Australia. Who plays the Prince? The very un-Persian Jake Gyllenhaal.